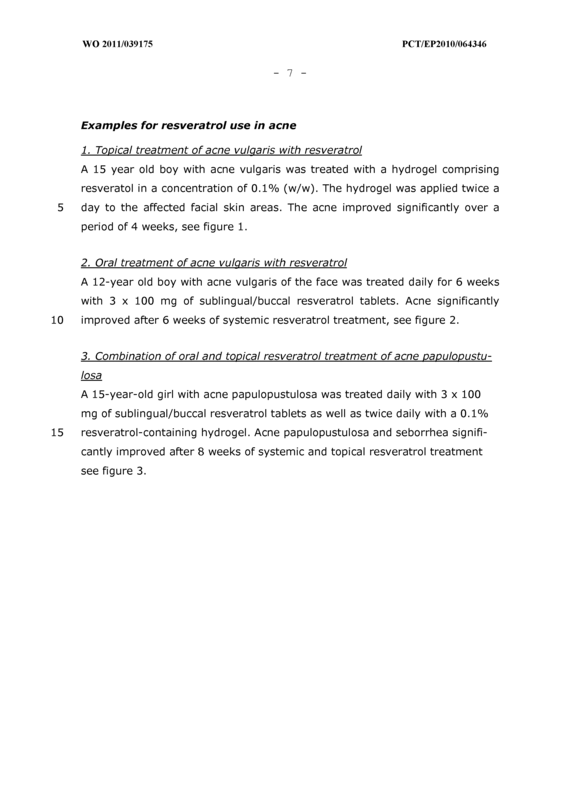 Use of resveratrol and/or resveratrol derivatives for the preparation of a medicament for the treatment of acne, rosacea, androgenetic alopecia or hyperproliferative skin diseases. 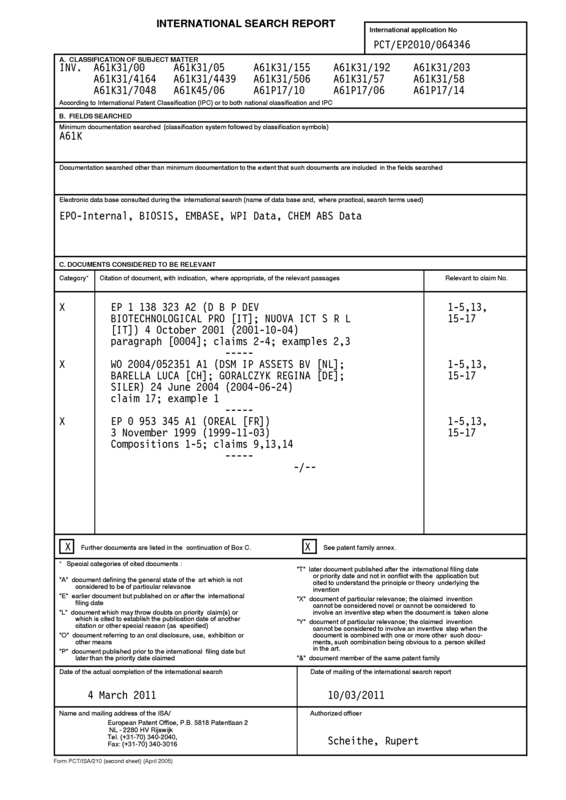 The use of claim 1, wherein the medicament is in a form suitable for oral administration, preferably in form of capsules or liquids, preferably wherein the medicament is for oral treatment in an amount of 500 mg to 2000 mg resveratrol per day, preferably in a formulation for sublingual or buccal administration. 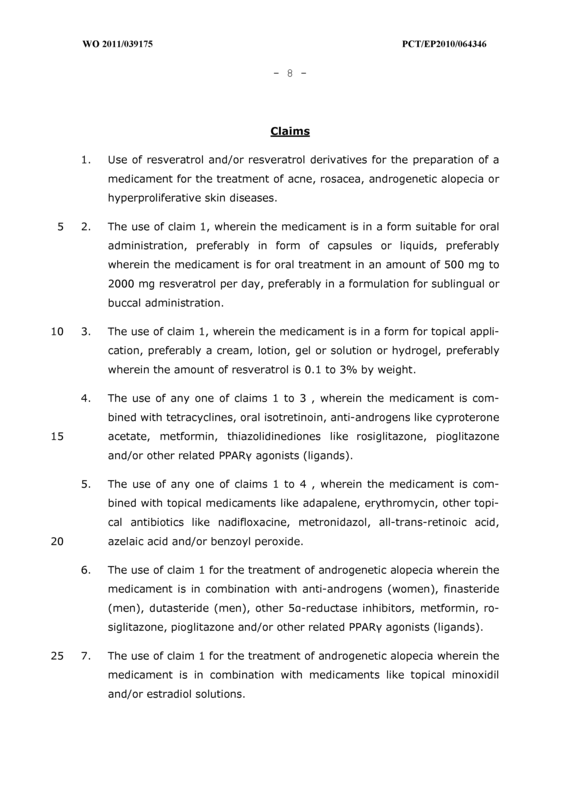 The use of claim 1, wherein the medicament is in a form for topical application, preferably a cream, lotion, gel or solution or hydrogel, preferably wherein the amount of resveratrol is 0.1 to 3% by weight. 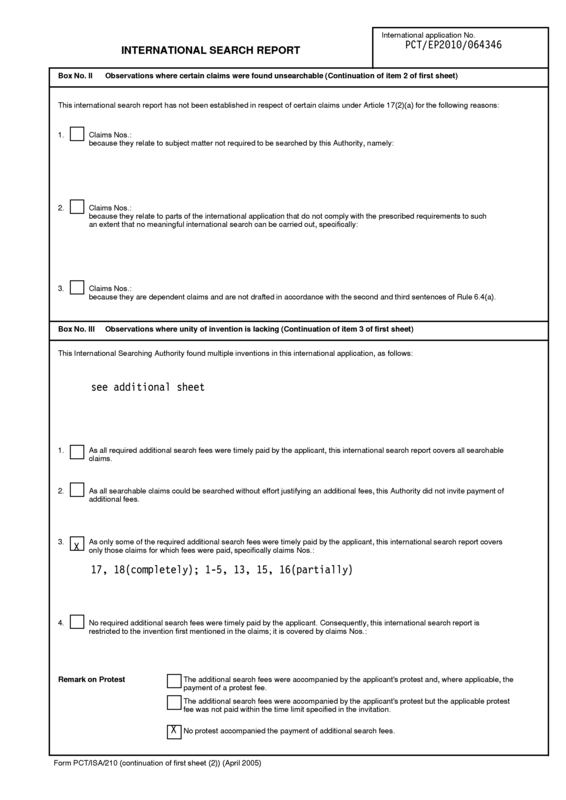 The use of any one of claims 1 to 3 , wherein the medicament is combined with tetracyclines, oral isotretinoin, anti-androgens like cyproterone acetate, metformin, thiazolidinediones like rosiglitazone, pioglitazone and/or other related PPARy agonists (ligands). 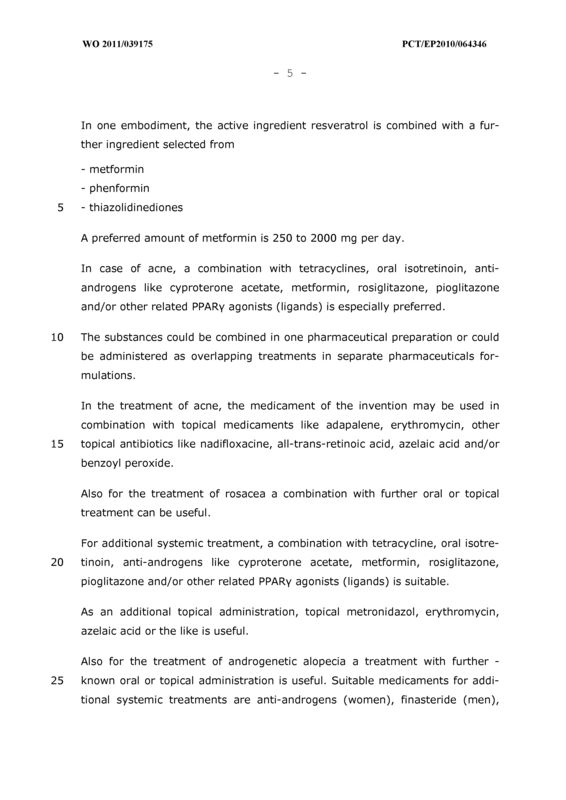 The use of any one of claims 1 to 4 , wherein the medicament is combined with topical medicaments like adapalene, erythromycin, other topical antibiotics like nadifloxacine, metronidazol, all-trans-retinoic acid, azelaic acid and/or benzoyl peroxide. 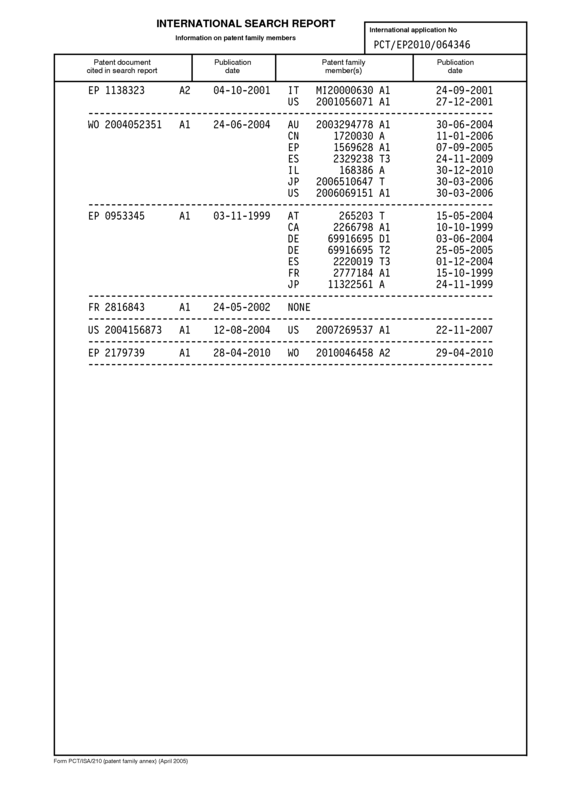 The use of claim 1 for the treatment of androgenetic alopecia wherein the medicament is in combination with anti-androgens (women), finasteride (men), dutasteride (men), other 5a-reductase inhibitors, metformin, rosiglitazone, pioglitazone and/or other related PPARy agonists (ligands). The use of claim 1 for the treatment of androgenetic alopecia wherein the medicament is in combination with medicaments like topical minoxidil and/or estradiol solutions. 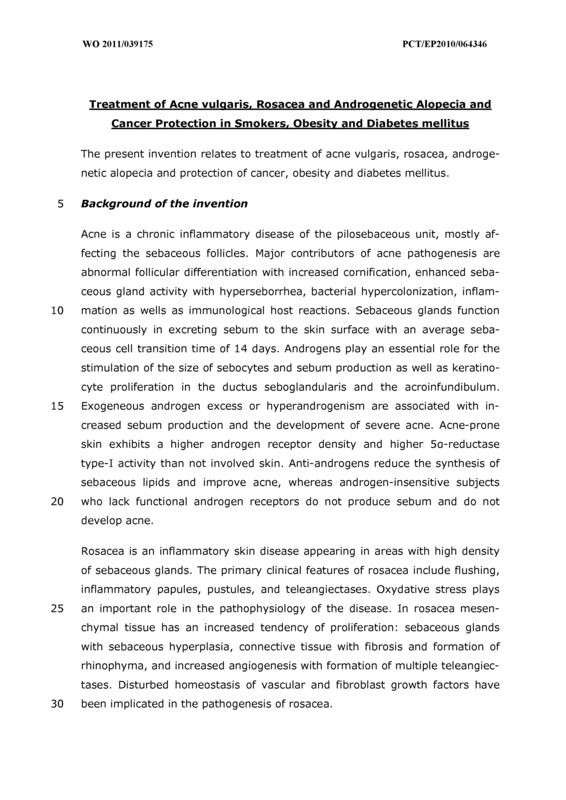 Use of resveratrol for the preparation of a medicament for oral preventive treatment of individuals with an increased familial risk of cancer, smokers, obese individuals, persons with pre-diabetes mellitus or with diabetes mellitus type 2. 9. 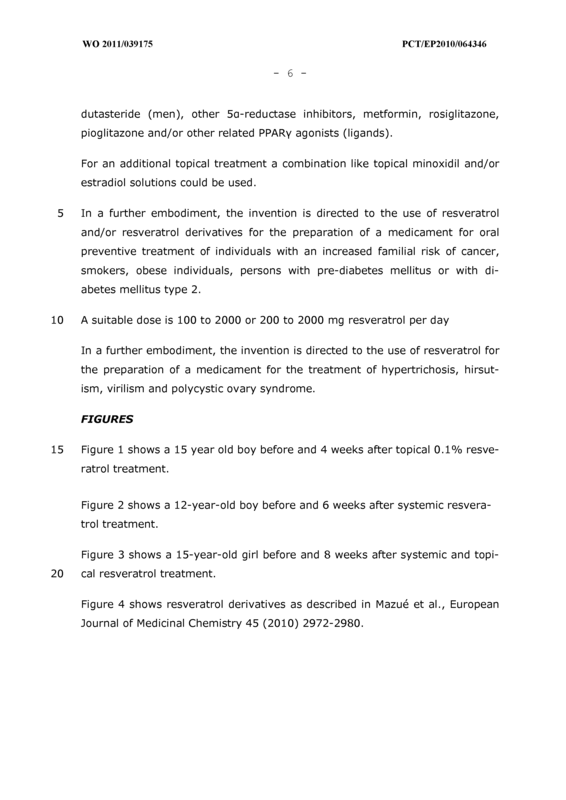 The use of claim 8, wherein the medicament is in a day dose of 100 to 2000 mg of resveratrol per day. 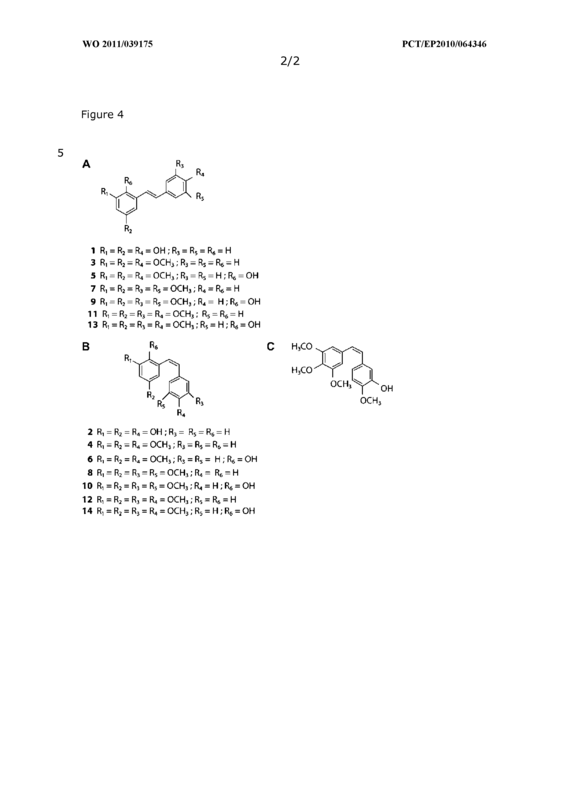 Use of resveratrol or resveratrol derivatives for the preparation of a medicament for the treatment of hypertrichosis, hirsutism, virilism and polycystic ovary syndrome. 11. 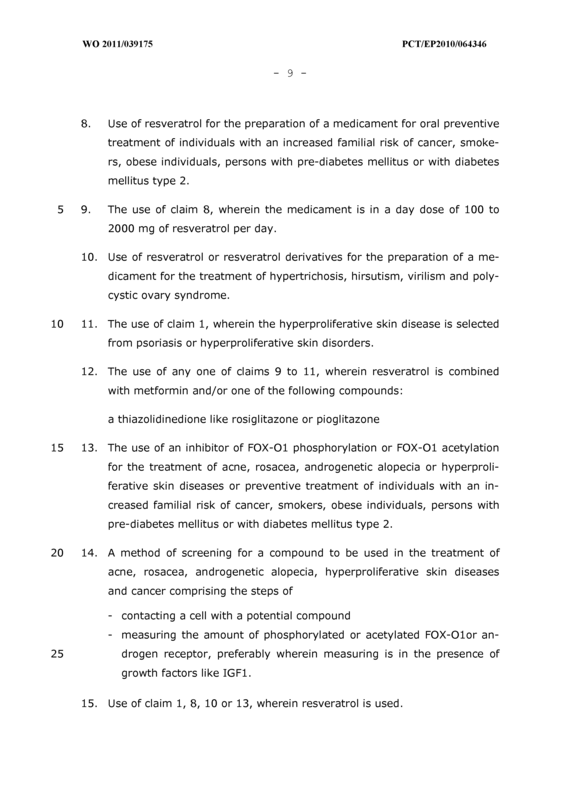 The use of claim 1, wherein the hyperproliferative skin disease is selected from psoriasis or hyperproliferative skin disorders. 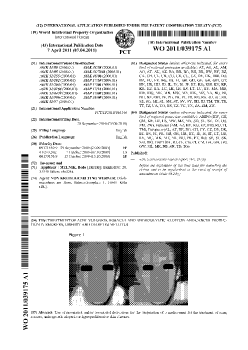 - measuring the amount of phosphorylated or acetylated FOX-Olor an- drogen receptor, preferably wherein measuring is in the presence of growth factors like IGF1. 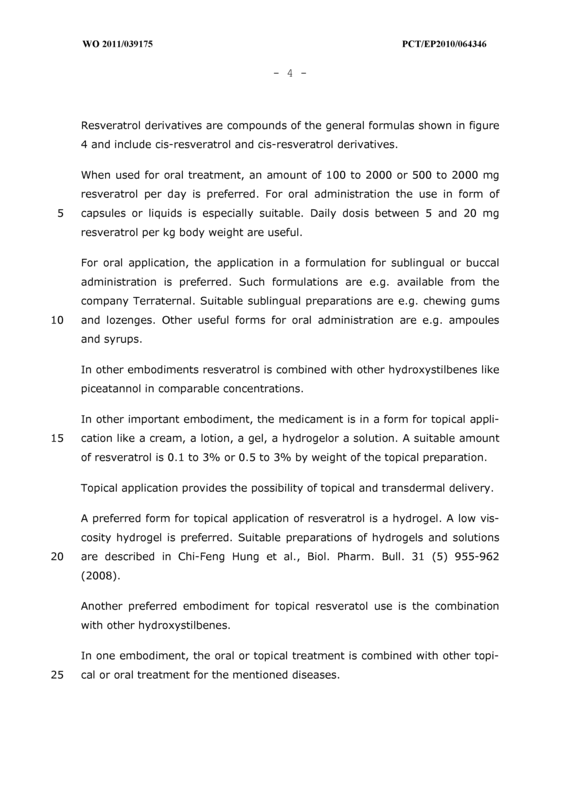 Use of claim 1, 8, 10 or 13, wherein resveratrol is used . A compound selected from the group consisting of resveratroi, resveratroi derivatives and mixtures thereof for use in the treatment of acne, rosacea, androgenetic alopecia and hyperproliferative skin diseases, hypertrichosis, hirsutism, virilism and polycystic ovary syndrome. 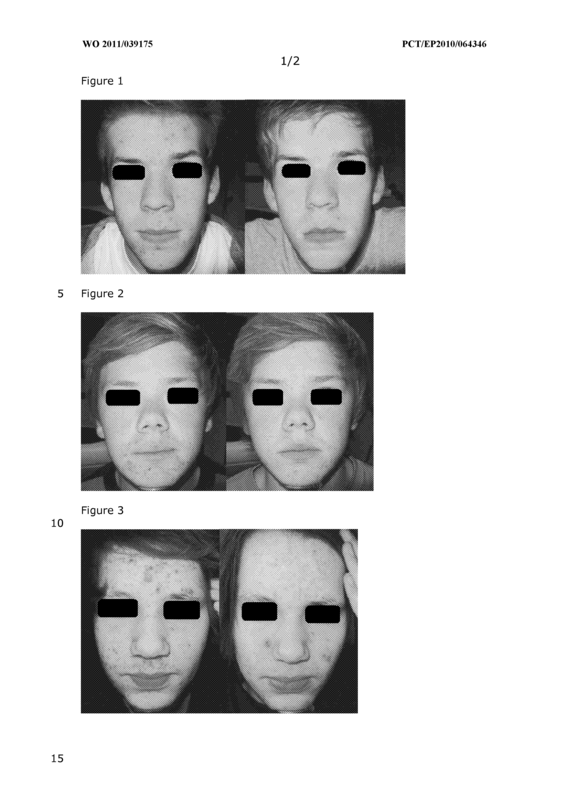 The use of claim 1 for the treatment of acne. 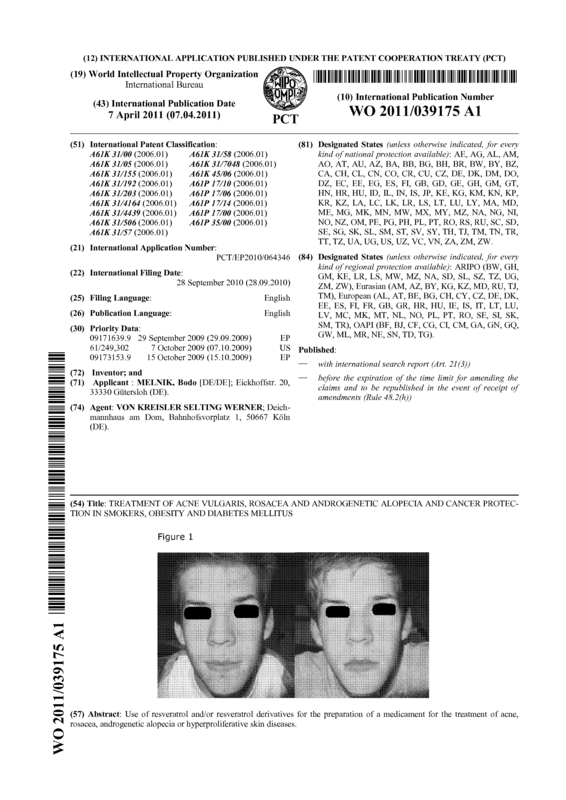 The use of claim 1 for the treatment of rosacea. 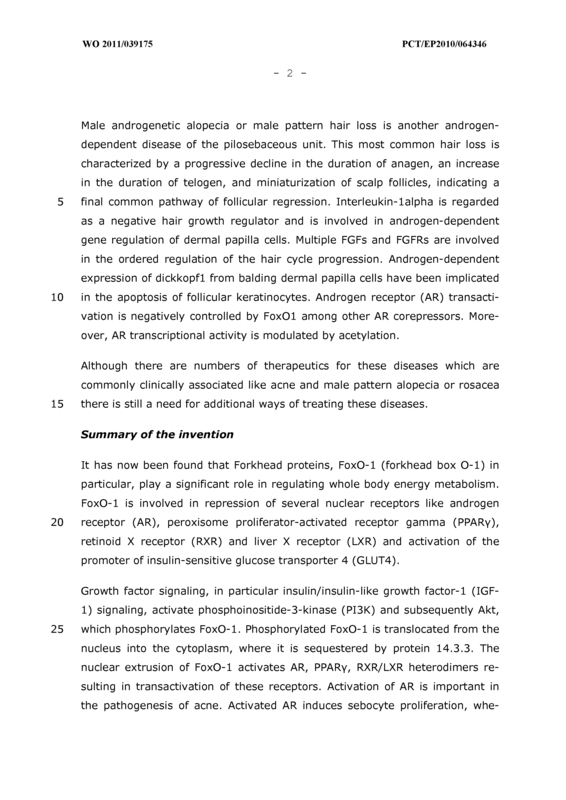 The use of claim 1 for the treatment of androgenetic alopecia. 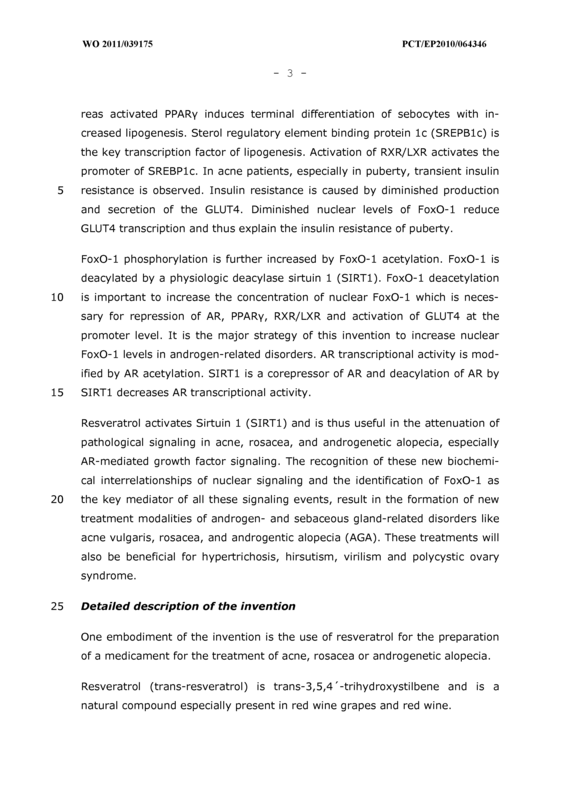 The use of claim 1 for the treatment of hyperproliferative skin diseases. 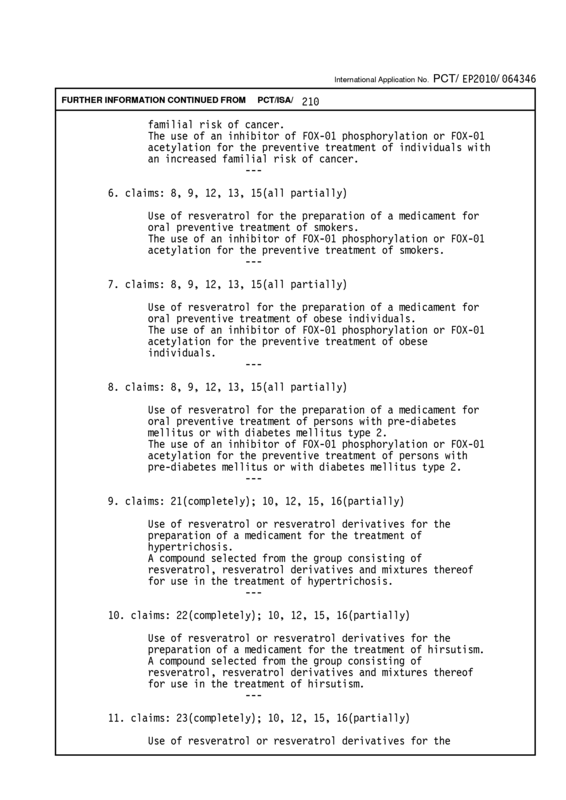 The use of claim 10 for the treatment of hypertrichosis. 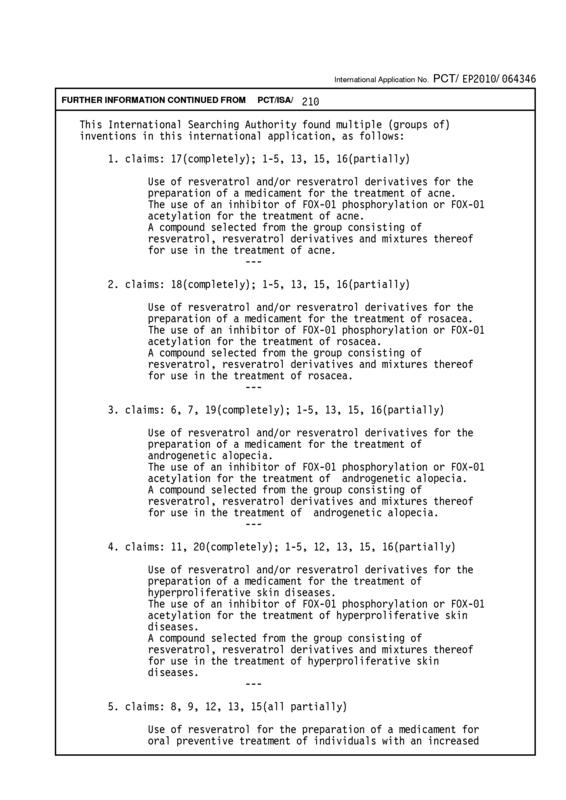 The use of claim 10 for the treatment of hirsutism. 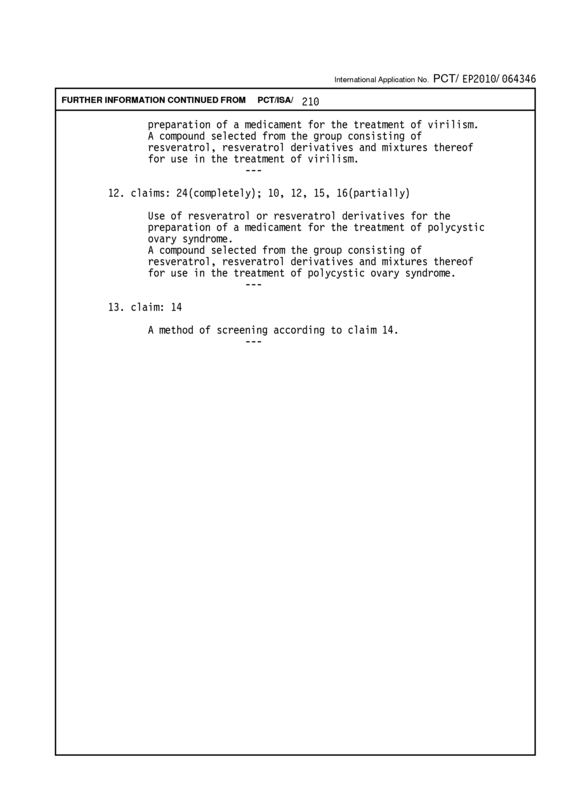 The use of claim 10 for the treatment of virilism. 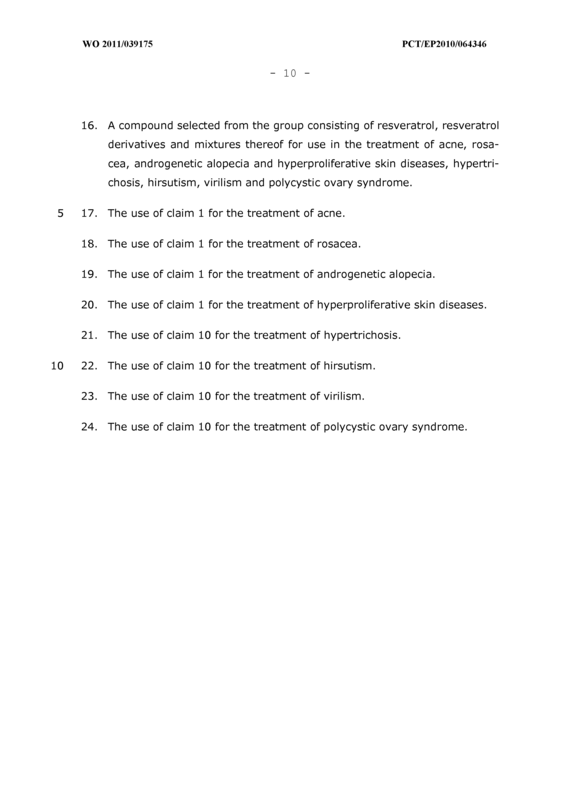 The use of claim 10 for the treatment of polycystic ovary syndrome.